Home » Entrepreneur » What is Entrepreneurship?? The path to an entrepreneurial venture might begin by earning a salary in the business one expects to enter, while learning more about it, and waiting for the opportune time to go out on one’s own. This time can be used to develop a support network, professional and personal, and generating ideas to “bounce off” people whose opinion one respects. At what scope does self-employment become a venture? The primary objective of many self-employed people is merely to employ themselves (and others if necessary) at a moderate to good salary; some are even willing to eke out a living to do what they enjoy. This approach is often referred to as a “lifestyle” business, and is generally accompanied by little, if any, plan for growth. Would a person who inherited a small or marginal business, then took it to new dimensions be considered an entrepreneur? The inheritor could have tried merely to keep it going, or even to pace the business’ decline to just carry them to retirement. In a family-held business, long-term success is often a central goal. Are franchise owners entrepreneurs? Many feel that, for those who have access to the large up-front investment, franchises are sure things. For many, operating a franchise is similar to investing in “blue chips,” a relatively sure thing with generally unexciting returns. 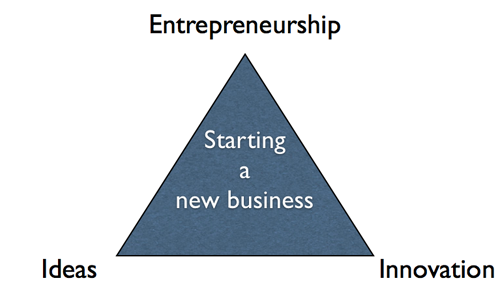 Related : What is Entrepreneurship? ?